Everyone has a compelling story. Just in the last couple of weeks, I’ve talked to a retired Marine about his service in Vietnam. And another told me about being a young bride in Germany and her move to the U.S. with her GI husband. The next several weeks brings family together for Thanksgiving and Christmas. This is an opportunity to ask family members to tell their stories. StoryCorps, an organization that has made an educational project for adults and children, is holding “The Great Thanksgiving Listen” project. The nonprofit has long gathered individuals stories on video in kiosks in New York’s Grand Central Station, and other cities. It also has an app for iPhones and Androids that videos an interview, and if you choose, uploads it to its site as well as to the American Folklife Center at the Library of Congress. A man at a Woodbridge continuing-care facility recorded interviews with residents about their World War II memories. The interviews were submitted to the Library of Congress’ Veteran’s History Project. These first-hand accounts enrich our understanding of history and will be of value to researchers. Involving young people in the interview process can give them an appreciation of their elders and the road they have travelled. It will also teach them history, research skills, interview techniques, listening techniques and improve their video literacy by making something with more thought than a seven-second Vine video. While it would be great if your child’s teacher would promote the Great Thanksgiving Listen in the classroom, this is something your child can do. It can be as simple as asking a loved one to sit for a minute and asking if you can video them answering a few questions. But, a good video requires some preparation. The student should research the era or events they will be discussing so they have a basic understanding. They should make a list of questions, but also be willing to move away from their script depending on how the interview goes. Broaching some subjects can be difficult. Sometimes the person is reticent to talk about their memories. Combat veterans, however, often find it difficult to talk with non-veterans. For them, promise them you’ll limit the topic to non-combat times in the military, if they are more comfortable with that. Modesty and shyness often interferes. The person may feel their story is not worthy of telling. On the other hand, it is hard to refuse a curious grandchild. Perhaps you have to sneak up a bit on some subjects. Sit with the person and just chat. Gently broach the subject you want to cover, and then as they begin to get into it, stop them and gently ask if you can video the conversation since you consider it important. An alternative to a video is going to Reddit.com, an online discussion site, and to its AMA subreddit. Others on the site pepper them with questions. The grandchild reads the better ones aloud to their grandparent and then dictates responses. Some are quite compelling. 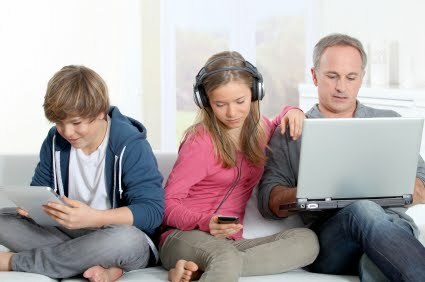 This week’s link post at www.FamilyTechOnline.com has some examples of good AMAs. Next week’s column will be some thoughts on shooting the interview and perhaps editing tips. Even if not uploaded, this type of video can be a valuable family heirloom. I wish I’d learned more from my grandmother before she died. She had worked for a man who’d been in the Civil War around 1912 when she was 20. How I would have loved to ask her about the memories he might have shared with her. Those memories were never properly recorded. How I wish they were.